I am about one inch in width and about one half of an inch in height - that is, from head to toe! 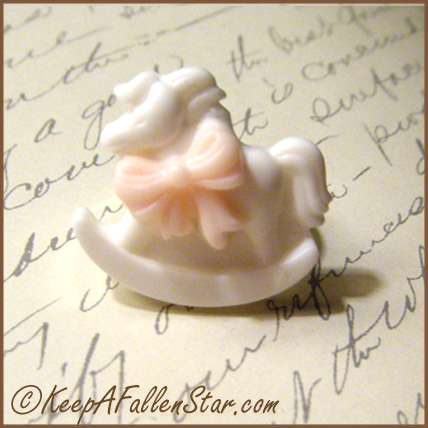 I am an adorable white rocking horse with a big pink bow. I could be a slightly different shade too, just because screens are different on different devices! I are very shiny and water resistant! I am a perfect addition to any wardrobe.